Mountainsmith's Drift lumbar pack is an ideal bag to keep in your car so you are ready for a day hike at the drop of a hat. With just enough room to carry water bottles, snacks, extra layer, and a few other essentials, the Drift will be with you on the trails all around town. This is also a popular option for long distance trail runners. Mountainsmith &apos;s Drift lumbar pack is an ideal bag to keep in your car so you are ready for a day hike at the drop of a hat. With just enough room to carry water bottles, snacks, extra layer, and a few other essentials, the Drift will be with you on the trails all around town. This is also a popular option for long distance trail runners. A removable should strap makes this a great versatile option for when you are not moving down the trail. Mountainsmith has been specializing in day hiking packs for many years now, and the Drift is exactly what you need for single day excursions. 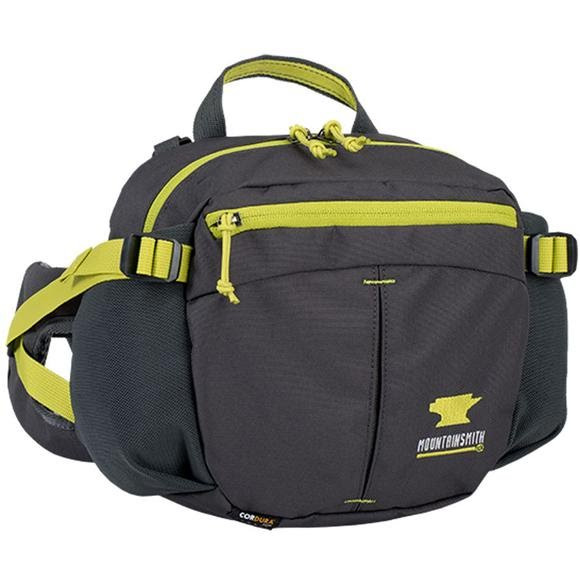 Put that all in an ultra-durable package thanks to the use of CORDURA® fabric, and you have a reliable bag for everyday carry. If your lunch breaks are filled with walks down dirt trails, the Drift the pack for you.